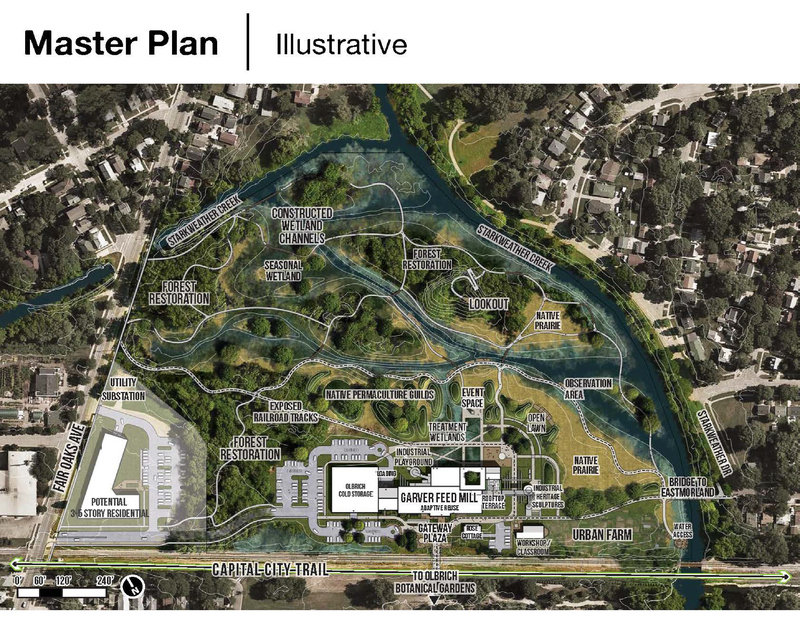 From August 2013 through May 2014, I worked with community members, city planning staff, and UW-Madison faculty to develop a comprehensive proposal for the re-use of the Garver Feed Mill site, a 28-acre open space on Madison's east side. This project was the culmination of my academic program at UW, and a synthesis of my design skills from the ground up. 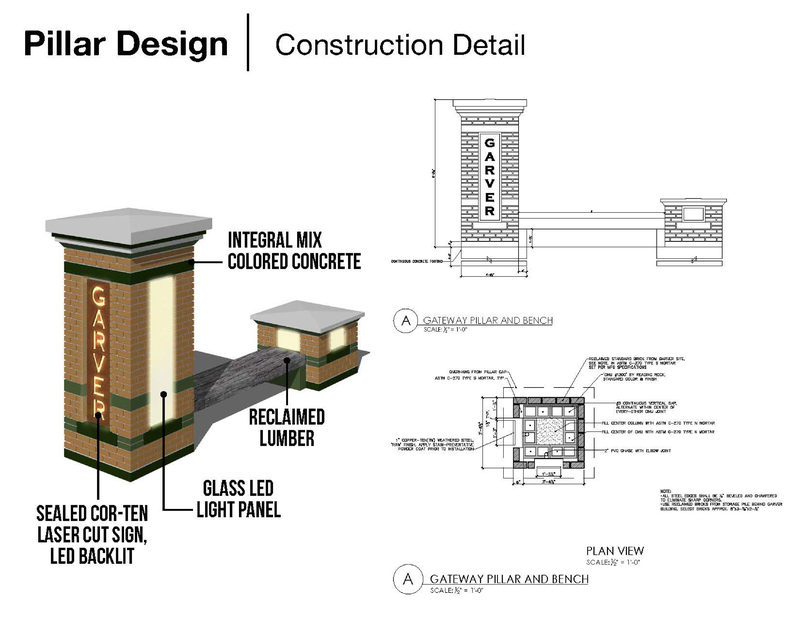 Below: proposed before & after rendering of the Garver site, showing the adaptive reuse of the building and surrounding land. 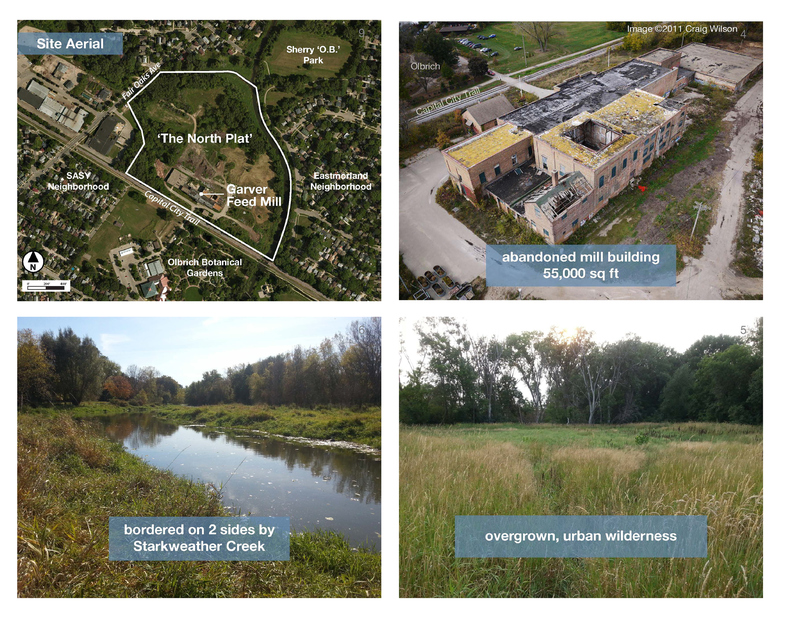 The Garver Mill (formerly a beet-sugar refinery and animal feed production site) is landlocked by urban neighborhoods, and offers a rare opportunity for residents to explore open space and urban wilderness. Many developers had been eyeing the site for demolition with hopes to develop housing, to the protest of area residents who hoped to preserve the natural character of the site. For the first 4 months of the project, I thoroughly analyzed the site's context, existing amenities, and opportunities for development. During this time, I met many times with community members - gathering oral histories, hearing existing efforts and hopes for the site. 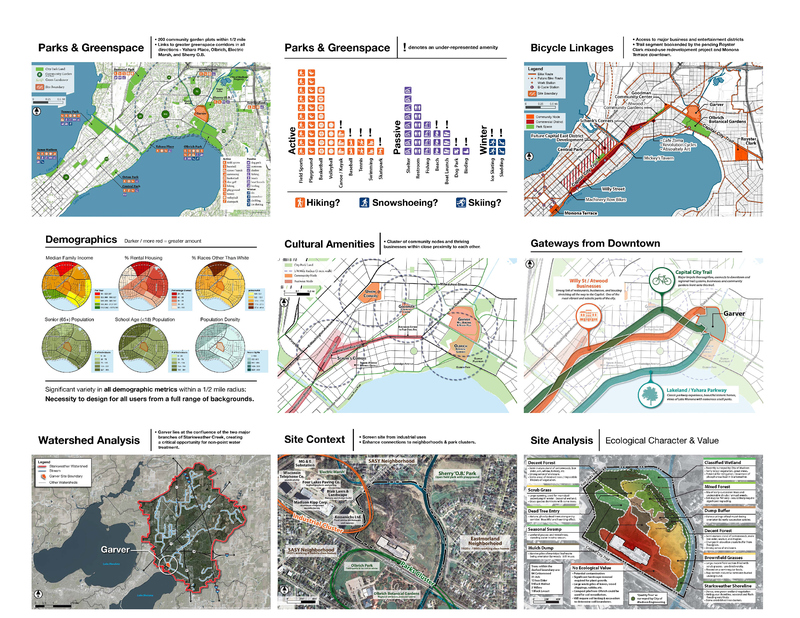 Below: analysis maps examining nearby greenspace, demographics, site access, and neighborhood context. 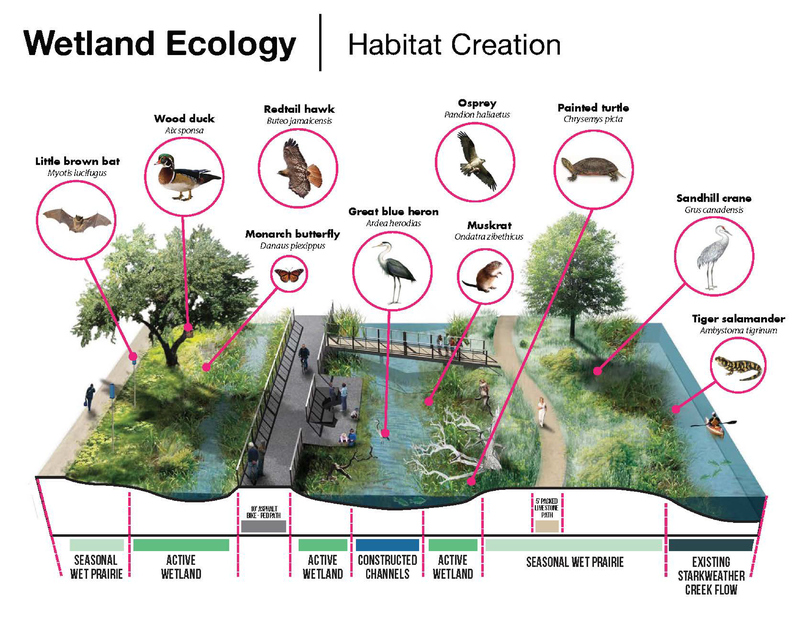 The second half of the project was design-driven, creating a comprehensive design proposal representing the community's hopes for the site. 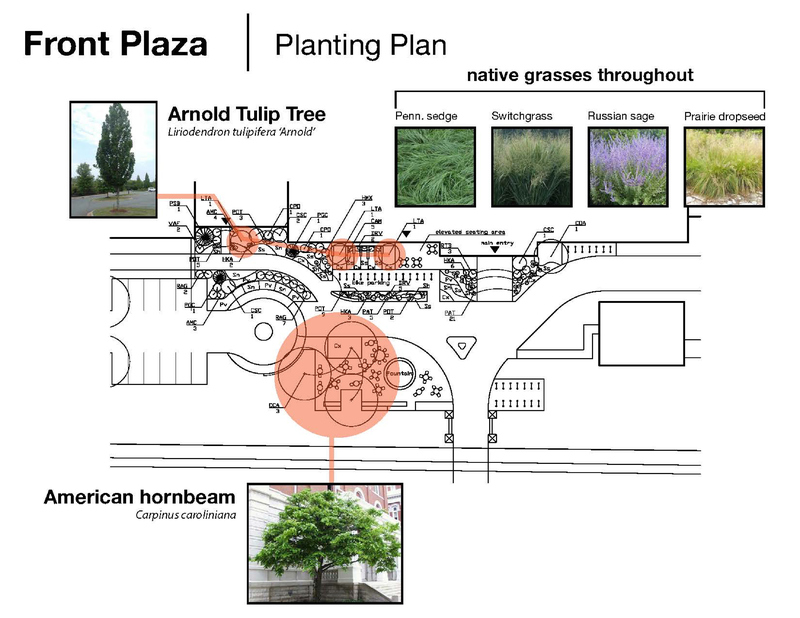 Below: proposed master plan for the site, showing the creation of functional park space near the building along with preserving the natural character of the site at large. 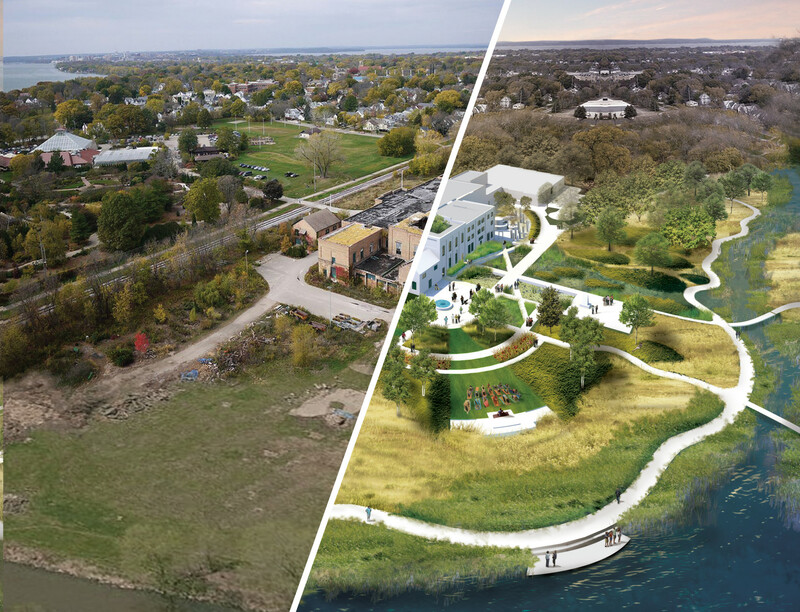 I produced a series of designs both at the master plan scale (above) as well as detailing various site-specific features (below). The front of the building faces out onto one of the main bicycle arterials in the city, and as such presents a strong opportunity for a public plaza space. 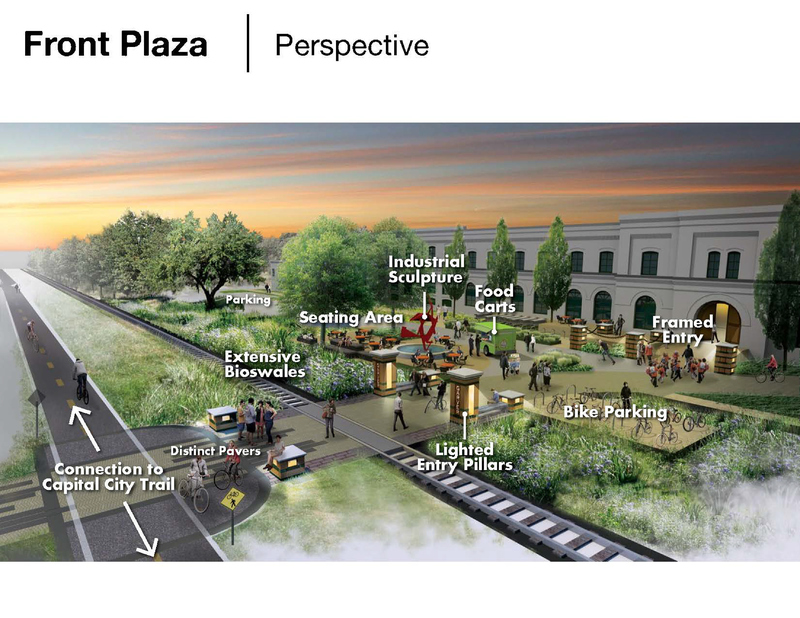 Ultimately the community-driven ideas expressed in my proposal acted as a catalyst for the public, building momentum for the site's redevelopment. 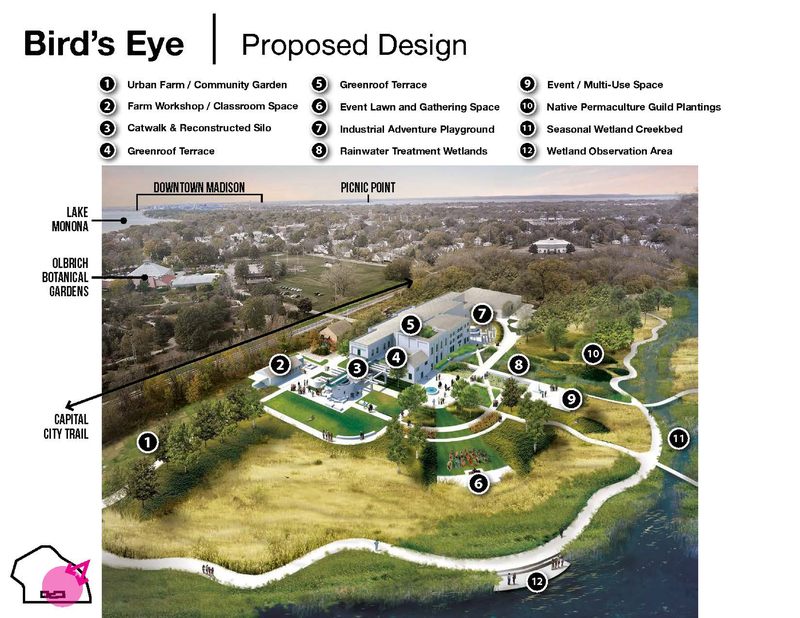 And amazingly, over late 2014 through 2015, the City of Madison approved the development proposal shown below - featuring many aspects similar to those I laid out in my proposal. The building will be used as a local-foods production center, while the open space will be developed as parkland - a huge win for east-side residents and Madison as a whole. 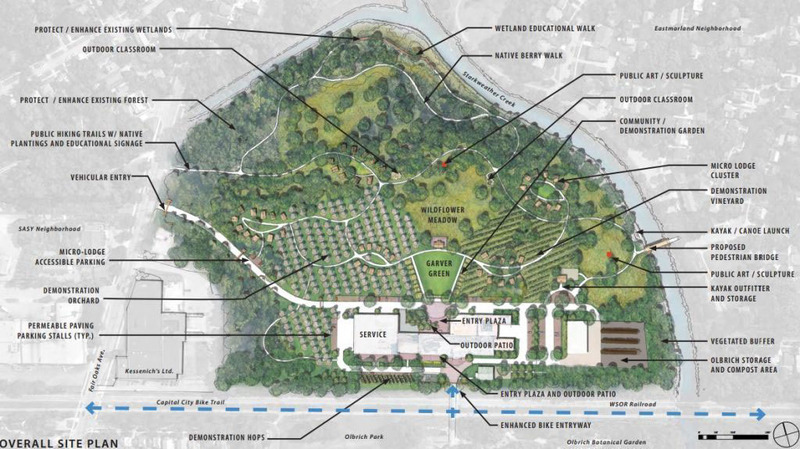 Below: the official Bachmann proposal submitted to the City of Madison for moving forward with site development. Up-to-date news on this project can be found at The Capital Times.